We're calling this one the adventure cap, due to all the great classic TV/movie hero characters that wear similar 80's style caps. And best yet, we're offering it at a great 80's price. This is ideal for the beach, pool days (Summer is Coming!) or just being a pesky detective kid. 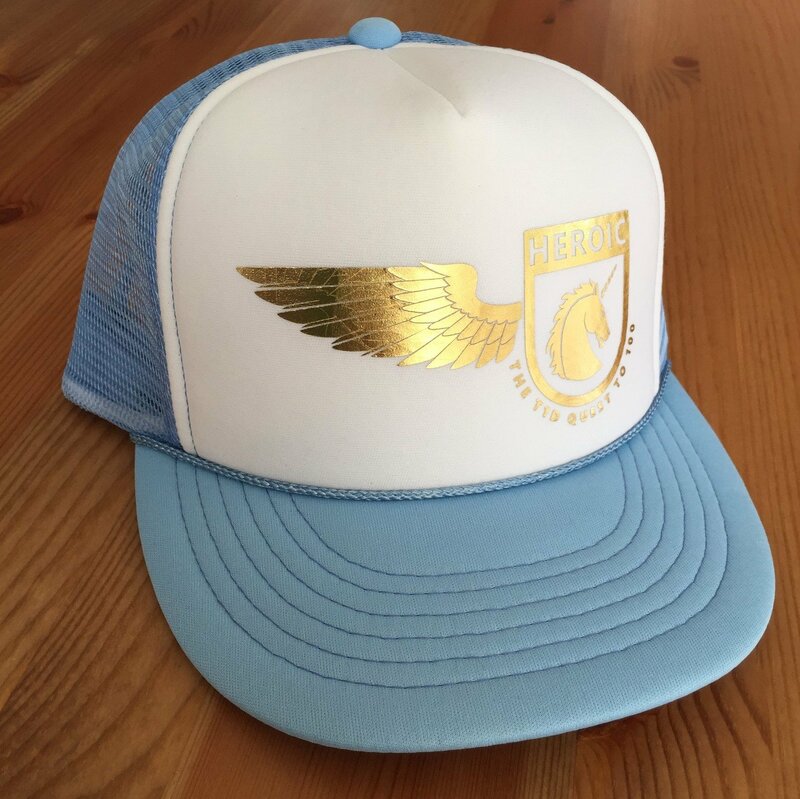 This one in light blue/white with a pressed gold Unicorn wing crest. Made to order, allow 2-5 business days to process.